SWIFT Networks Limited, a broadband services provider has launched a suite of Information and Communications Technology products customised to support Nigerian SMEs. These bundled solutions will reduce cost and give small businesses better control of their operations to drive efficiencies and growth.To operate under the sub-brand of SWIFT SMARTBusiness Kit, these all-in-one service bundles will consist of all the office and home connectivity, hosting and bespoke business software solutions available to small businesses in the market today. “The product continues in SWIFT’s tradition of demystifying and simplifying technology to help unlock Nigeria’s abundant potential so that people can achieve more in their daily undertakings,” said the Managing Director, Charles Anud. “It is also user-friendly, and will resolve the problem of small businesses dealing with multiple vendors, who often present them with conflicting solutions that are not future-proof. 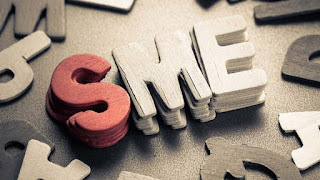 With our solution, SMEs will obtain all their ICT solutions from a single trusted service provider with the industry’s best of customer care team on one monthly bill,” said SWIFT Chief Operating Officer, Chukwuma Okoye. He further added that “for the early birds, we shall throw in a free home internet access for the business for as long as the subscription is current.”A sample SWIFT Business Kit solution will consist of office (and free home) internet, web and e-mail hosting, attractive business and international travel voice call rates, à la carte business software modules for sales, accounting, customer relationship management, inventory management and human resource management. A customer can start with a basic plan, and either adds or dropped modules as the business evolves, as the solutions basket are well aligned and future-proof. 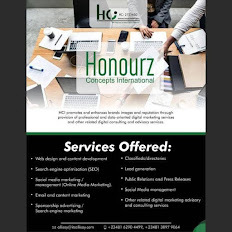 The product is specially targeted at businesses in the professional services, eCommerce, traditional retail, educational, healthcare, hospitality and cottage industries. The services will be distributed directly through SWIFT’s customer centres as well as those of its online and off-line channel partners. It will also be supported by a professional field sales team from SWIFT.